In 1836, former frontiersman and congressman Davy Crockett led a band of volunteers all the way from their home State of Tennessee to San Antonio, Texas, in order to join up with William Travis and his small company of soldiers, and help defend the Alamo–and Texas independence–from Mexican General Santa Anna and his army of over 5,000 seasoned troops. To men such as Crockett, Travis, Jim Bowie, and the rest, State independence and freedom was worth fighting and dying for. To a man, they each proved that. Therefore, it is fitting to wonder what Davy Crockett would think about his home State of Tennessee joining with federal agencies in establishing random checkpoints throughout the Volunteer State. According to a local Tennessee news source, “You’re probably used to seeing TSA’s signature blue uniforms at the airport, but now agents are hitting the interstates to fight terrorism with Visible Intermodal Prevention and Response (VIPR). “‘Where is a terrorist more apt to be found? Not these days on an airplane more likely on the interstate,’ said Tennessee Department of Safety & Homeland Security Commissioner Bill Gibbons. For all intents and purposes, the Patriot Act eviscerated the 4th and 5th amendments to the US Constitution (and seriously injured many of the others). The Posse Comitatus Act, which dates back to 1878, was flushed down the toilet during the presidencies of George Herbert Walker Bush, Bill Clinton, George W. Bush, and now Barack Obama. Since 1968, 2nd Amendment liberties are only a shell of what America’s founders intended and established. And the above-mentioned story out of the State of Tennessee is just the latest example of how the US and State governments are continuing to shred the Bill of Rights—and virtually every other protection of individual liberties once thought sacred. The State of Tennessee should be ashamed of itself–and the people of Tennessee should be outraged! The problem is, this kind of unlawful activity has been taking place for years. And more often than not, it is the federal government that is both promoting this practice and paying for it, of course. 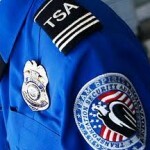 So, why should anyone be alarmed that TSA is now joining scores of other federal alphabet agencies and getting into the act? At least, that’s the thinking of these KGB wannabes. Most of us over the age of 50 can well remember the stories and images that came out of the old Soviet Union and its satellite states in the East Bloc. In fact, the phrase, “Show us your papers,” was symbolic of totalitarianism and despotism. Today, that same phrase is part and parcel with America’s “war on terror” and considered “patriotic.” Back in the days of “Free America,” checkpoints were synonymous with Red Russia and Red China. We could never have imagined–or tolerated–those kinds of practices going on in these United States. Now, they are part of everyday life in “Occupied America,” and standard operating procedure in the State of Tennessee and elsewhere. For federal police agencies to be conducting checkpoints (i.e., Tennessee), organizing searches and seizures against citizens complying with State law (i.e., Montana), patrolling city streets (i.e., Alabama, Florida), and even ambushing and killing American citizens (i.e., Idaho, Texas) is the sign that the American experiment of federalism, separation of powers, State sovereignty, etc., is certainly over, and that this new “Occupied America” is in the throes of an ever-burgeoning police state! If Davy Crockett lived today, he wouldn’t have to ride far to find oppression to fight, would he? Wow! Perhaps the “average” American, in total apathy, has just looked the other way while the liberal ideology crept in and took over. We used to say, “Ah, that kind of stuff will never happen here.” We were wrong! And, we should be ashamed for having let it happen. Not all of us have been quiet, but enough have; too many have. I pray that your blog reaches many, and that as it does it sparks all who read it to stand up for our nation. A revival of the Christian Spirit that built this great nation is of utmost importance. God bless us. God save us.